Apartments are one of the most preferred forms of housing because they y offer all the luxuries and comforts that are in tandem to the modern day lifestyle. Also they avoid the hassles of maintenances, issue of parking spaces or lack of sporting facilities the residential complexes offer it all. When it comes to luxury housing with world class comforts and style or access to smart technologies in the Delhi/NCR region then Mahagun India Builders is the most trusted name. The group offers the best value for money houses that are affordable with their elegant designs and fashionable architectures and also come very well integrated with luxuries, comfort and style. The group now presents Mahagun Mascot furnished serviced apartments in Crossing Republik NH 24 Ghaziabad. 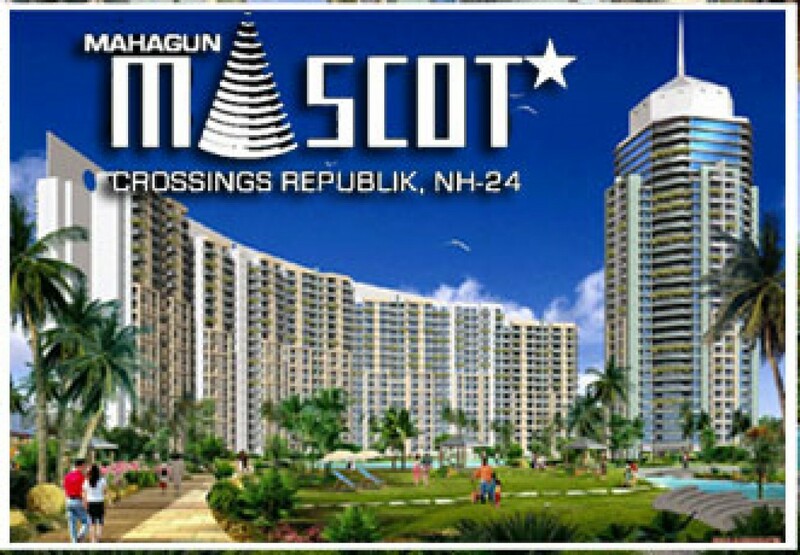 The Mahagun Mascot Crossing Republik flats offer 2, 3 and 4 BHK luxury homes starting at Rs 38 Lacs onwards. These homes have vaastu friendly layouts and RCC framed earthquake resistant structures thus, providing great durability and reliability. Uninterrupted water and power supply with backups, reserved car parking areas, VRV conditioning, gardens, swimming pool, clubhouse, gymnasium, badminton courts, tennis lawns, jogging and cycling trails and much more. The pleasure of living at Mahagun Mascot Crossing Republik flats is immense as the property is built over a sprawling area of 360 acres thus offers lots of open spaces and gorgeous green views. The Mascot property in Crossing Republik NH 24 Ghaziabad has great specifications in terms of interior designs and layouts with the apartments have imported marble floorings with laminated flooring in the master bedroom, the doors and windows are made of high end hardwood materials and flush door shutters, the open balconies, huge windows, modular kitchen, spacious and airy floor spacings etc are on the list. For making the Mascot furnished serviced apartments environment friendly there is provision for rain water harvesting, solar panels, LED lights, efficient water and waste management and much more. Also, for better functioning and security Mahagun Mascot RWA has been constituted that is an executive body working for the betterment of services of the complex, elected by the residents of the Mascot society.